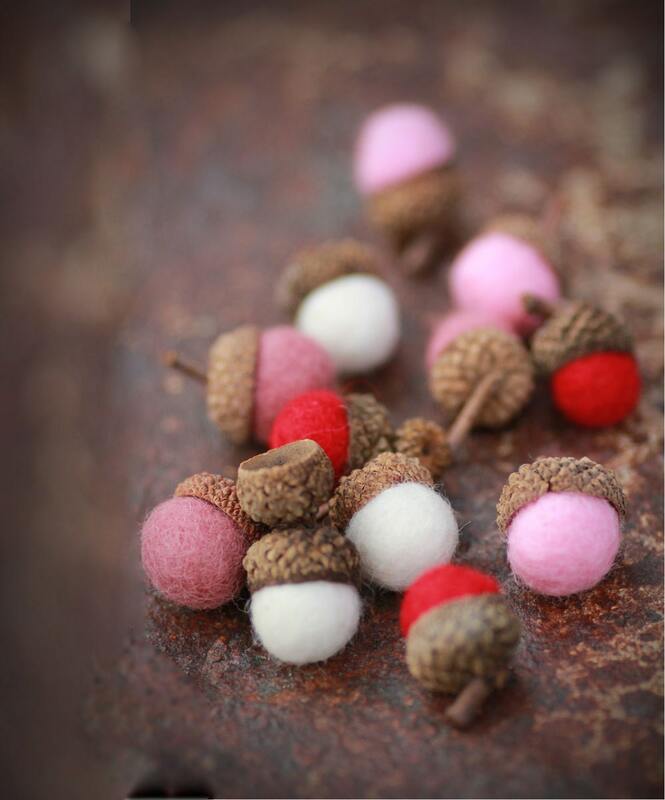 ***PLEASE NOTE***** Due to high demand, these acorns average a 3 day production time. Thank you for your patience as we work to meet the demands of our customers!!! The ultimate eco-friendly accessory! 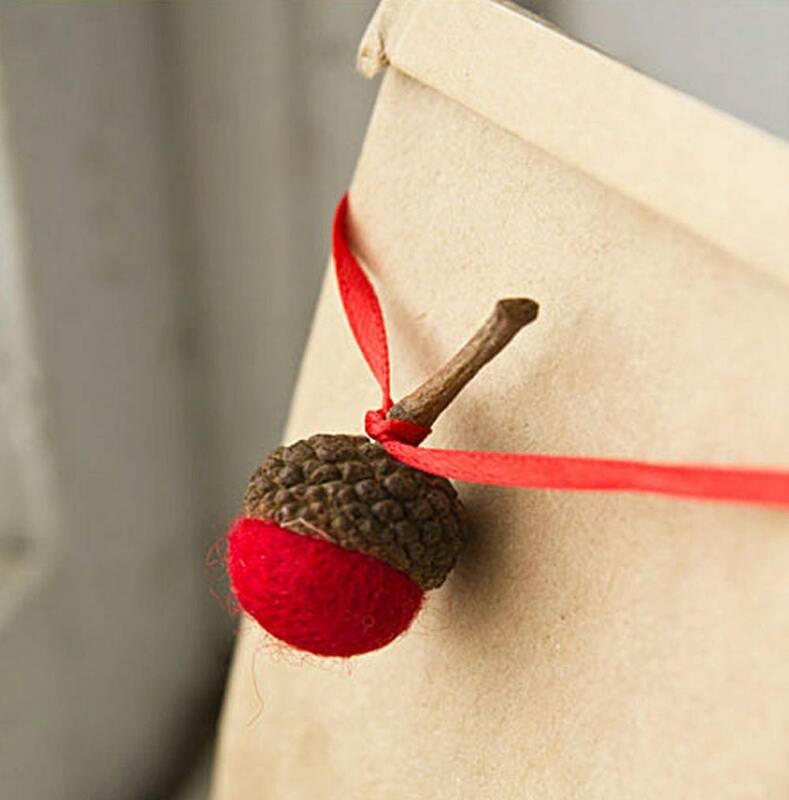 I use them for gift packaging, but you can also string them to use as holiday ornaments, jewelry or just put them in a bowl as a gorgeous accent for your home. 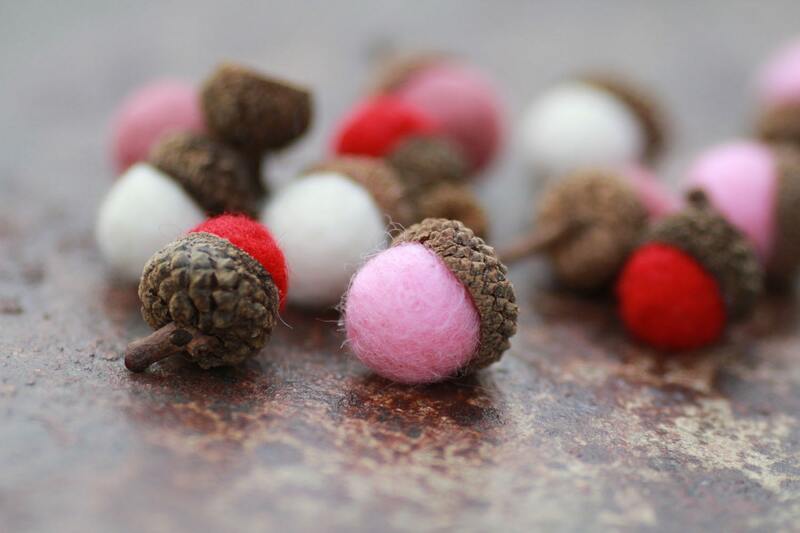 The acorns are wet-felted with 100% wool roving and I collect the caps by hand here in the Ozarks. Custom colors and bulk orders welcome! I adore these..thanks so much!